Prof. Nobuhide Kasagi (Professor Emeritus, The University of Tokyo; Deputy Director-General and Principal Fellow, Japan Science and Technology Agency) passed away on July 29, 2015 due to illness. The profile below is kept unchanged from his own last edit. 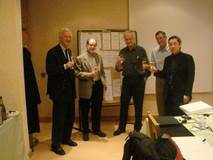 Kasagi has been involved in fundamental and applied research on fluid mechanics and heat transfer. He started his research work with investigation of wall turbulence structure, and then extended it to modeling and large-scale numerical simulation of turbulent transport phenomena, control of turbulent transport, two-phase flows with particles/cells/bubbles, micro-scale thermal and fluid systems, micro cell processing, and computer-aided visualization and image processing. He has also led projects on high-temperature gas turbines, solid oxide fuel cells, micro heat exchangers, and small-scale distributed energy systems. His recent work includes advanced turbulence control, GT-SOFC hybrid energy systems, micro energy conversion, and computational fluid mechanics and heat transfer. 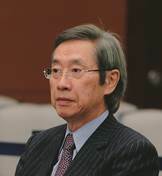 Kasagi is an active member of Japan Society of Mechanical Engineers (TED Chair, 2002-03; President Elect, 2005-06; President 2006-07; Honorary Member, 2013), American Society of Mechanical Engineers (Fellow, 1994), Heat Transfer Society of Japan (President, 2011-12; Honorary Member, 2013), Japan Society of Fluid Mechanics (President, 1997-98), Japanese Society of Multiphase Flow, AIAA, APS, AAAS and so forth. 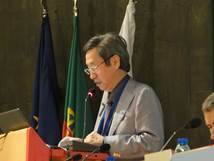 He served as President of the Assembly of World Conferences on Experimental Heat Transfer, Fluid Mechanics and Thermodynamics (2009-2013), President of JSME (2006-07), Chairman of JSME Committee on Engineering Education (1996-98), President of Heat Transfer Society of Japan (2011-12), President of Japan Society of Fluid Mechanics (1997-98), and President of Japan Society of Computational Fluid Dynamics (2000-01). He worked as Vice-Chairman (1995-97) and Chairman (1998-2001) of Nusselt-Reynolds Prize Board. Kasagi has committed himself to Editor-in-Chief of International Journal of Heat and Fluid Flow (1993-2012), Editor of JSME International Journal, Editorial Board Member for Experimental Heat Transfer, Associate Editor of Fluid Dynamics Research, Advisory Editor of Journal of Flow Turbulence and Combustion, Managing Editor of Journal of Flow Visualization, Editorial Board Member of Journal of Flow Visualization and Image Processing, and Advisory Board Member of e-Fluids. He is and has been actively participating in organizing various international meetings; e.g., International Symposium on Turbulence and Shear Flow Phenomena (Founding Member), International Symposium on Transport Phenomena, ECI Conference on Heat Transfer and Fluid Flow in Microscale, ECI Conference on Transport Phenomena in Micro and Nanodevices, ASME/JSME Joint Thermal Engineering Conference, and International Workshop on Micro and Nanotechnology for Power Generation and Energy Conversion Applications (PowerMEMS). He have served as a Review Panel Member for Swedish Research Council, Australian Research Council, and U.S. National Research Council. He is a recipient of JSME Medal for the Best Papers (1987, 1990, 2008, and 2010), GTSJ Best Paper Award (1988), JSME Thermal Engineering Achievement Award (1993), Heat Transfer Society of Japan Award (2002), JSME Fluids Engineering Award (2004), Fluid Science Award (2004), JSME Thermal Engineering Award for International Activity (2008), William Begell Medal (2010), ICHMT Fellowship Award (2012), Aurel Stodola Medal (2013), Award for Outstanding Paper in Fluid Mechanics (2013), Luikov Medal (2013) and so forth. 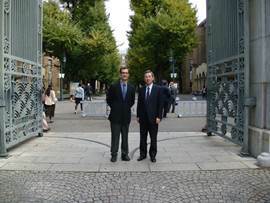 He was invited as the University Guest Professor by the Technical University of Munich in 2010.